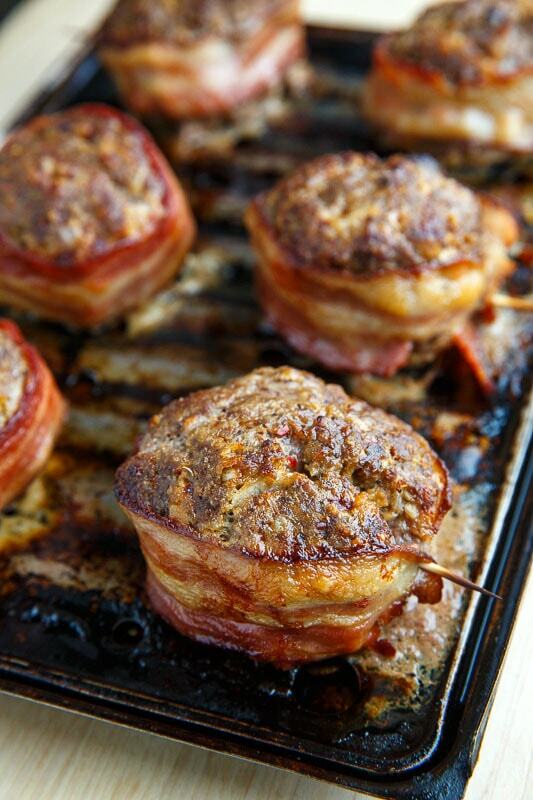 Super easy bacon wrapped salisbury steaks cooked in muffin pans! 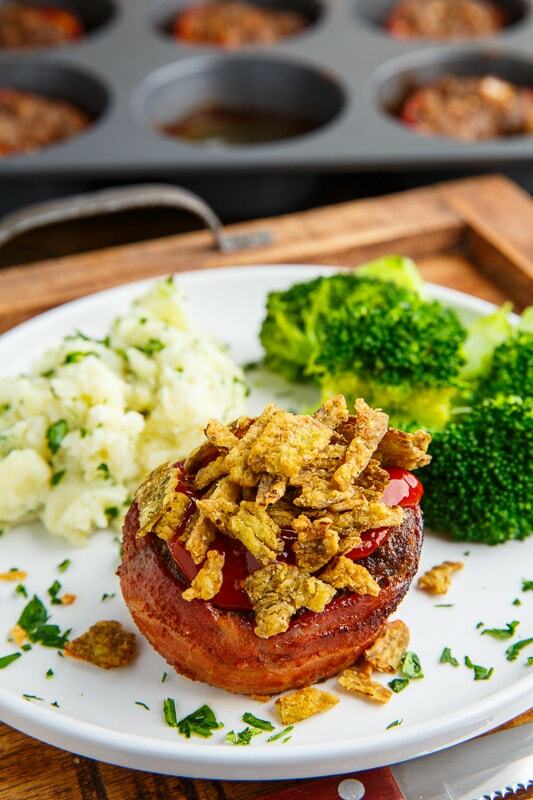 classier by calling them salisbury steak filet mignon! 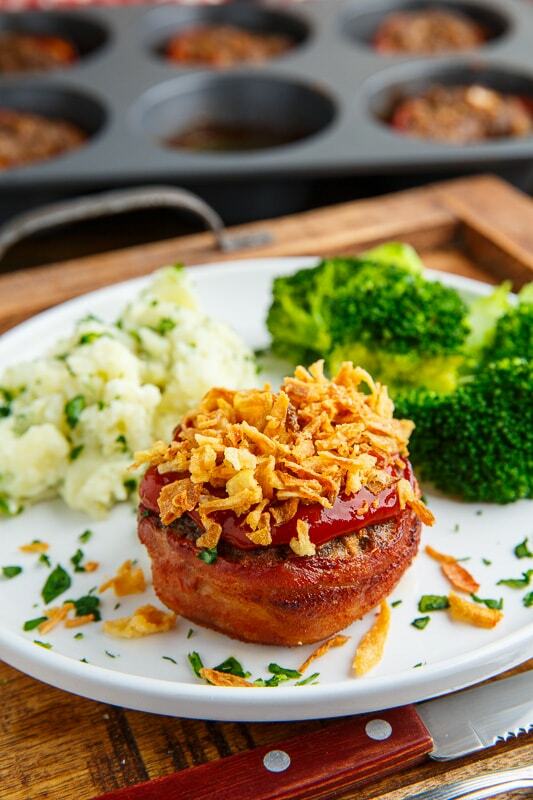 I like to top these bacon wrapped muffin pan meatloafs off with a gochujang (Korean spicy chili paste) spiked ketchup along with crispy fried onions! 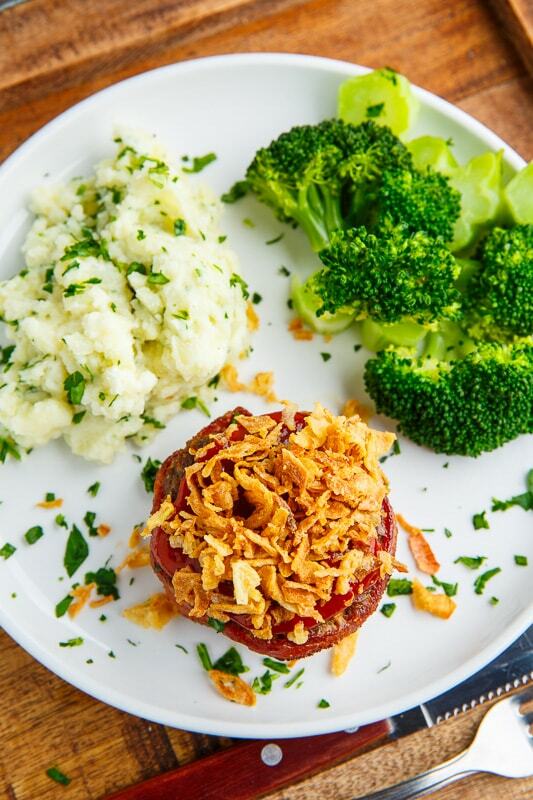 Instead of crispy fried onions, top with crispy fried jalapenos for a spicy kick! 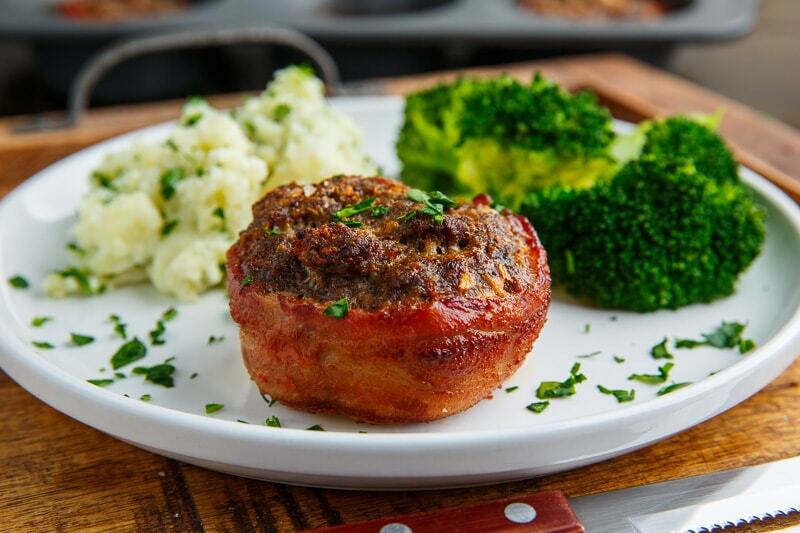 Make patties, wrap in bacon and broil, grill or pan fry them up just like salisbury steak filet mignon! You need to pre-cook the bacon a bit when cooking them like this. Mix the ground beef, onion, garlic, Worcestershire sauce, Montreal stark seasoning, dried mushrooms, egg and breadcrumbs. 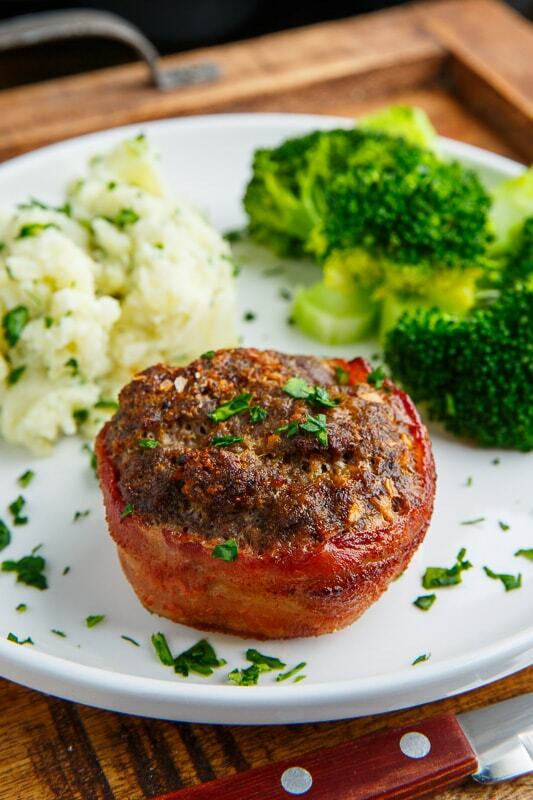 Form 6 patties, wrap in bacon and place in the holes of a large muffin pan before baking in a preheated 350F/180C oven until the patties are cooked and the bacon in crispy, about 20-25 minutes. 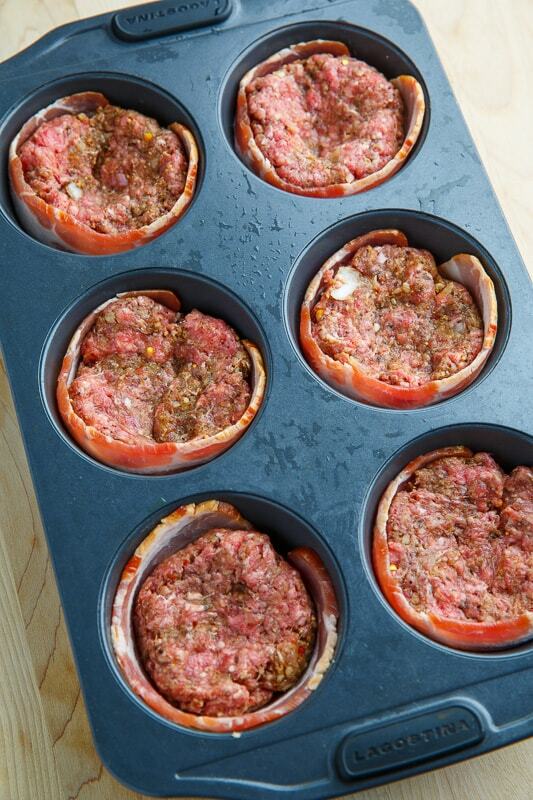 Option: Make 4 patties, wrap in partially cooked bacon and grill, pan fry or broil like burgers! Option: Top with ketchup or ketchup-gochujang sauce! 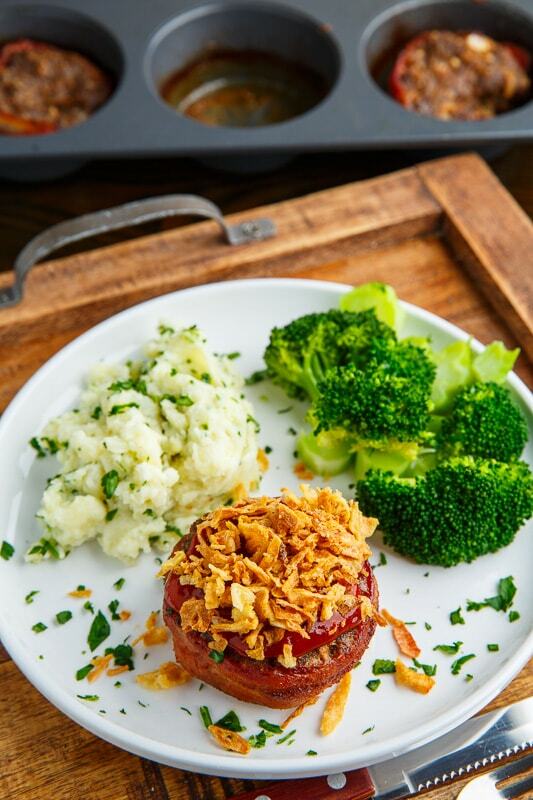 Option: Top with crispy fried onions or crispy fried jalapenos! bonjour, pouvez-vous me dire ce que sont les épicesde Montreal ? Merci.